Children's author David Eastman presents "Giraffe and Elephant Are Friends." The book uses captivating illustrations and carefully chosen words to teach young children about friendship. This is a great story for babies, toddlers, preschoolers and kindergartners. 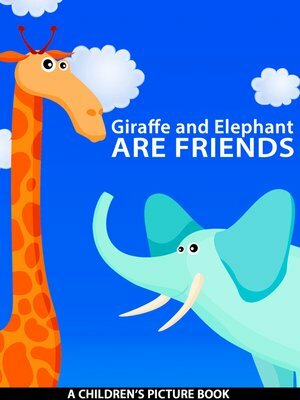 If you are passionate about building your children's curiosity and knowledge in fun and interesting ways then "Giraffe and Elephant Are Friends" is the right picture book for you. David Eastman has been working on his Giraffe and Elephant stories for several years and was delighted to finally be able to get the stories published. Look also for "Giraffe and Elephant Break Out."